1. 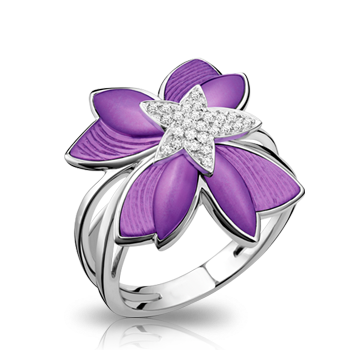 There is a coloured diamond matching each personality and taste, whether you are a woman or a man. Unlike white diamonds, natural coloured diamonds exist in over 300 colours and countless numbers of hues and nuances. Polished, they come in numerous shapes, but some rough natural coloured diamonds are also just perfect when set in a jewel in their natural shape. Each natural coloured diamond is unique, just like you. 2. It’s the ‘it’ Diamond: Hollywood stars and royal figures rather wear natural coloured diamonds than white diamonds. Carla Bruni-Sarkozy, Victoria Beckham and Portia de Rossi all wear pink diamond rings, as well as the very hype Ecclestone daughters. Over the last few seasons, natural coloured diamonds with colours such as chocolate, yellow, and black have made their way into the Haute Couture jewellery collections, in fashion houses such as Louis Vuitton, Dior, and Alexander McQueen. And recently, Jessica Simpson and Cate Blanchett have been seen on the Red Carpet wearing champagne diamond jewels. 3. It’s a collector’s item. The resources in extremely fine, intense or vivid colour diamonds are becoming very limited. The only mine that produced pure blue diamonds has dried up and Argyle, the Australian mine producing 90% of the world’s pink diamonds, plans to end production in 2018. Red and green diamonds, by nature the two rarest colours, have always been highly sought-after collector’s items. Natural coloured diamonds also come in unexpected colours, some of them change colour like chameleons, and some come as bi-colour diamonds with two colours in the same stone. This, and the fact that each natural coloured diamond is a one of a kind miracle of nature, makes them perfect for collectors. 4. It is an investment: for more than 20 years, the value of natural coloured diamonds has only gone up. As an example, the value of pink diamonds from Argyle has increased over a hundred times in 25 years. Did you say Purple Gold?!? Let us start with white gold. 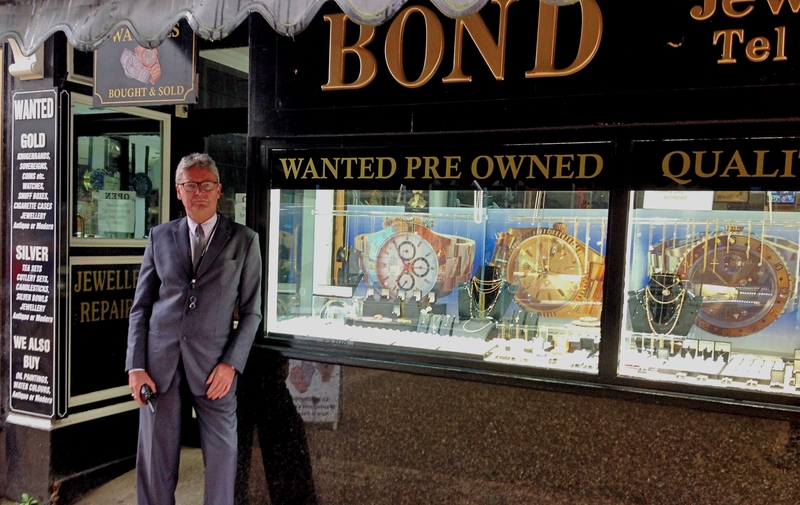 You’ll find no white gold in the Bank of England’s gold reserve. Pure 24 carat gold is always yellow. There is no such thing as gold that is white. But jewellery is rarely made from pure gold because it is really quite soft, and pretty expensive. Engagement rings, wedding bands and other jewellery are usually made from an alloy of gold plus other metals. At the risk of over simplifying things, if the “other metals” in the alloy are copper or silver, the gold remains yellow; whereas if the “other metal” is palladium, it has a “bleaching effect” and the mixture becomes whitish, i.e., “white gold” (or a whiter shade of gold). Rose, Pink, or Red Gold: Gold can take these colours when mixed with copper. The more copper in the alloy, the darker the tone of red that will surface. A common rose gold alloy composition is 18 carat (75% gold) mixed with 25% copper, while a 50/50 mix of gold (12 carat) with copper results in what we would call red gold. Green Gold: Green gold, otherwise known as electrum, is a natural forming alloy which combines gold and silver. The greenish colour varies depending on the exact mixture. Blue Gold: 46% gold, 54% indium. Purple Gold: Also called amethyst gold and violet gold this is made from 80% gold and 20% aluminium. Black Gold: 75% gold, 25% cobalt. Here it is. Our long awaited jewellery blog. Welcome. Here we are. The brightest gem on the East Coast. Based in our jewellery shop in Huntriss Row, Scarborough, we’ll be blogging about what’s hot and what’s not, teaching you when to buy and when not, how to tell if your jewellery is tat or top hat, and telling tales from far and wide as we venture afar to get the best, brightest, and cleanest stones money can buy. Excited? You should be.